They had been within my mind or at first, I’d thought they were. In reality, they were beings from beyond what my meager mind could see or understand. They had huge spherical bodies that moved almost like jellyfish floating through the air. 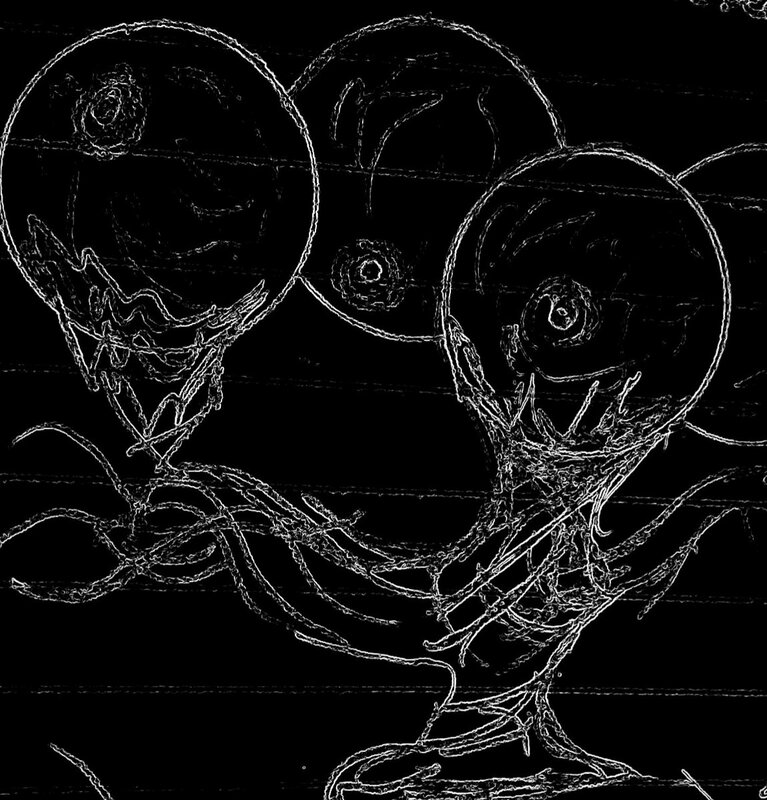 Their tendrils touched the ground and shaped into arms and legs but were not meant to support the body. They nearly looked like giant living eyeballs in the dark. These beings drifted in and out of my viewability. I could not discern their reason for being; only that they faded in and out of existence alm ost like a lens shifting in and out of focus. I’d tried to show a friend and multiple family members these strange floating eyes but I’d never been able to catch them fading into my peripheral when others were around. I shuddered as they watched me from afar always dissipating when others gazed upon them. I thought perhaps my mind was rotting from within. Possibly I’d grown a tumor and was hallucinating. My doctor squashed that notion with simple scans. No matter where my travels lead me they were ever present in my world. I feel but do not fully know that these are the great witnesses of all time. Beings following great and horrific men to see the prominent moments of time. Each second I see them I feel that I know more about them. In those few moments, I internalize their purpose and divine not only when they shall reappear but what I shall do in the time between our meetings. There is a calamity coming. I am its cause or its prevention. A darkness swells in my heart and I cannot quell its overbearing force. It is an ethereal force that drives my actions now. My hands are not my own. I am lost to the eternal will of the universe. For more stories click here. Thanks for reading. Haunting but beautifully wrote. I really enjoy the idea! Jip, I am with Tan on that one. Great wordchoices. I can feel H.P influances but this is your own. You can be proud of this one no doubt. Thanks. I’m finishing a Lovecraft inspired collection for release soon. Yes. Egg all over my face. Damn. I’d like to know more; good flash fiction. Thanks! I’ll have more out soon in my upcoming book, Cabals of Blood. A collection of cosmic horror.